BOSTON — The Wyss Institute for Biologically Inspired Engineering at Harvard University announced today that it was awarded a $9.25 million contract from the Defense Advanced Research Projects Agency (DARPA) to further advance a blood-cleansing technology developed at the Institute with prior DARPA support, and help accelerate its translation to humans as a new type of sepsis therapy. 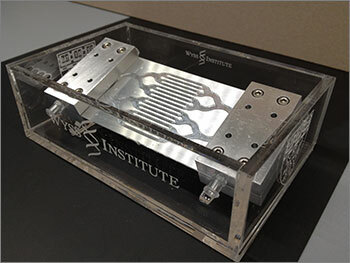 "In just a few years we have been able to develop a suite of new technologies, and to integrate them to create a powerful new device that could potentially transform the way we treat sepsis," said Wyss founding director and project leader, Don Ingber, M.D., Ph.D. "The continued support from DARPA enables us to advance our device manufacturing capabilities and to obtain validation in large animal models, which is precisely what is required to enable this technology to be moved towards testing in humans." The team will work to develop manufacturing and integration strategies for its core pathogen-binding opsonin and Spleen-on-a-Chip fluidic separation technologies, as well as a novel coating technology called "SLIPS," which is a super-hydrophobic coating inspired from the slippery surface of a pitcher plant that repels nearly any material it contacts. 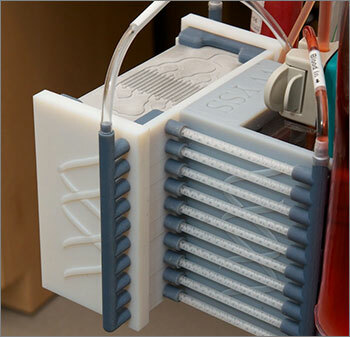 By coating the inner surface of the channels of the device with SLIPS, blood cleansing can be carried out without the need for anticoagulants to prevent blood clotting. In addition to Ingber, the multidisciplinary team behind this effort includes Wyss core faculty and Harvard School of Engineering and Applied Science faculty member Joanna Aizenberg, Ph.D., who developed the SLIPS technology; Wyss senior staff member Michael Super, Ph.D., who engineered the human opsonin protein; and Mark Puder, M.D., Ph.D., Associate Professor of Pediatric Surgery at Boston Children’s Hospital and Harvard Medical School who will be assisting with animal studies.